Gene Gaudette is owner of Urlicht AudioVisual. He has over forty years of experience within the music industry as a video, recording, web, and interactive media producer, A&R director, product marketing strategist, artistic adviser, retail and record label manager, music journalist, composer, conductor and arranger. Gaudette launched Urlicht AudioVisual’s CD/Audio Blu-Ray label in January 2012. Based in New York City, the label focuses on performers with a unique artistic vision and repertoire encompassing both familiar and rarely-heard works. Many of the releases feature one or more world premiere recordings. Artists featured on the label include conductor José Serebrier, violinists Elmira Darvarova and Miranda Cuckson, cellist János Starker, pianists Pascal & Ami Rogé, Octavio Brunetti, and Elisha Abas, and double-bassist Gary Karr. Urlicht’s 2015 release desde estusios a tangos, showcasing the late Octavio Brunetti’s arrangements for violin and piano of music by Astor Piazzolla arranged for violinist Elmira Darvarova, was nominated for a Latin Grammy®. Urlicht AudioVisual also provides complete marketing, logistics and production solutions for content owners, including video and audio production, sophisticated audio recording restoration, web site design, database development, media and metadata preparation and post-production. Gaudette is an early Internet adapter, having joined CompuServe in 1988, fired up his first browser in 1992, and teamed up with Jeff Koopersmith in 1997 to migrate American Politics Journal, then a regular CompuServe feature, to the World Wide Web (it is now the Web’s oldest continuously operating publication of online political opinion and headline aggregation). He developed content and databases for andante.com from 2001 to 2003, and has developed dozens of label, artist, e-commerce, and blog Web sites. 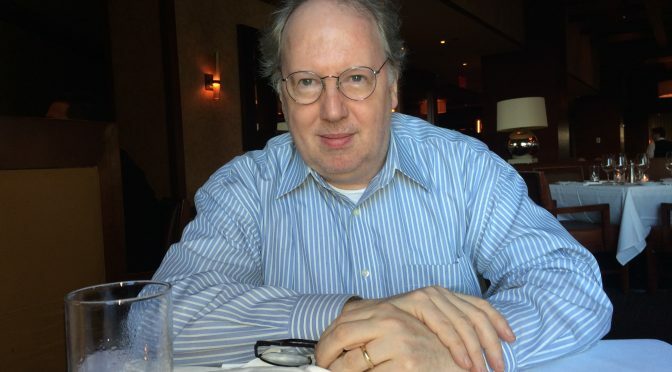 Gaudette has lectured on music business and recording history at the Musikwochen Mahler Toblach, University of Connecticut, the Smithsonian Institution. He has been a panelist and presenter for events hosted by the Gustav Mahler Society of New York and MIDEM. He has reviewed New York concerts for classicalsource.com.